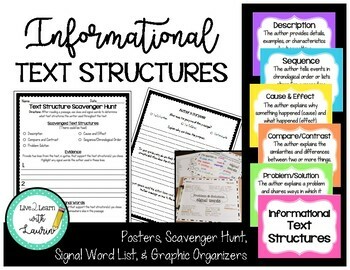 This TEXT STRUCTUREs set includes posters, a scavenger hunt activity, and graphic organizers. 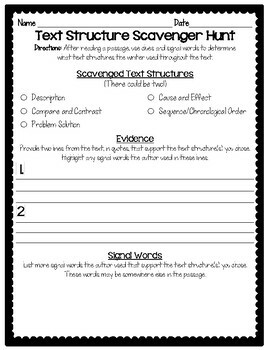 ****Scavenger Hunt Activity- Students are given a passage and they use clues and signal words to determine the text structure the author used. 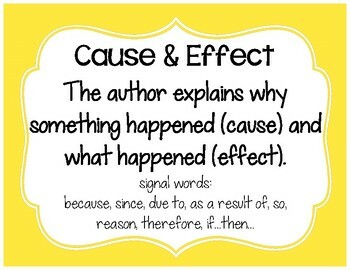 They are to use evidence and identify the author's purpose. 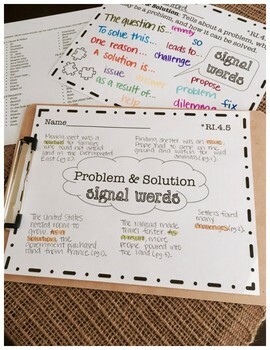 ****Graphic Organizers: There are 2 types of signal words charts includes, which contain definitions. See preview.